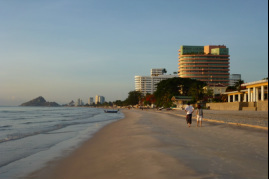 Thailand is often seen as a destination in it's own right, but enjoying a beach stopover is much easier than you might think. From Bangkok to Koh Samui and everywhere in between, Thailand's vibrant culture and beautiful scenery is incredible. Visit the stunning Indian subcontinent and explore stunning palaces, beautiful beaches and delicious cuisine. Head north to visit the Taj Mahal or start a trip to the Himalayas. 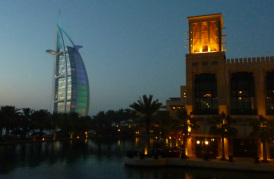 Dubai offers a host of activities, culture and, of course, sunshine. Stopover in Dubai and take an extra holiday in the UAE, enjoying it's beaches and so much more to help break up your journey down-under. As Australia's largest city, Sydney offers a wealth of activities and events for visitors. Whether it's a sightseeing tour of the harbour, taking part in one of the city's many festivals or simply relaxing on the stunning beaches, there's something for you. Stopovr.com offers destination information and the latest deals on longhaul flights and stopovers from the UK. Keep up-to-date with the lastest deals and offers on the Stopovr.com Facebook page. For short breaks and holiday ideas closer to home and on a budget, visit my budget break. Enter competitions to win your own budget break, search for your next holiday or read travel reviews at mybudgetbreak. All prices quoted on this site are valid at the time of writing and are checked on a regular basis. Due to fares being dependant on availability, the actual price of a flight may fluctuate. If you're after something much cheap and closer to home, both the Daily Mail and Sun newspapers offer caravan holidays from as little as £15 and £9.50 respectively. You'll need to collect a number of holiday tokens in the newspapers before you can book.